The steps below for provisioning DIDs are the same whether you are an administrator or a reseller. For example, if you want to add a UK DID to a customer’s account, you can add it as an alias. 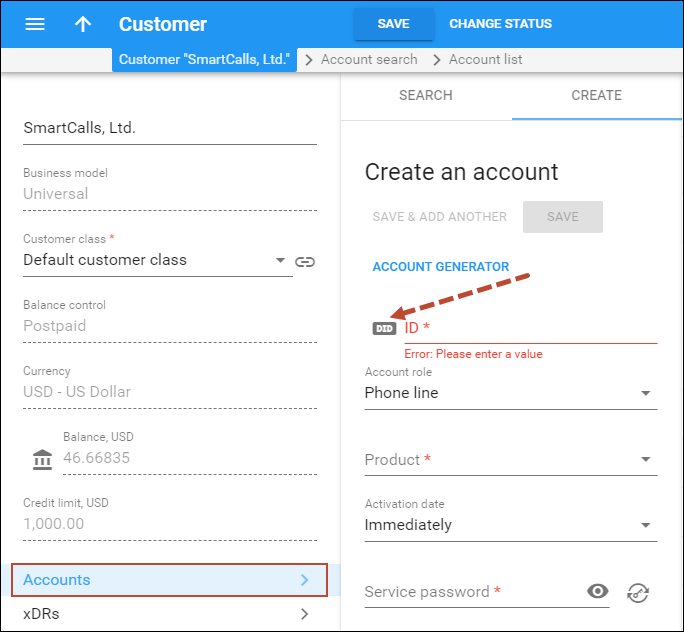 NOTE: You can only add aliases via on-demand DID provisioning from external providers to credit accounts with the account role Phone Line, Auto Attendant or MSISDN. 2. Click Add to create a new alias for the current account. 3. 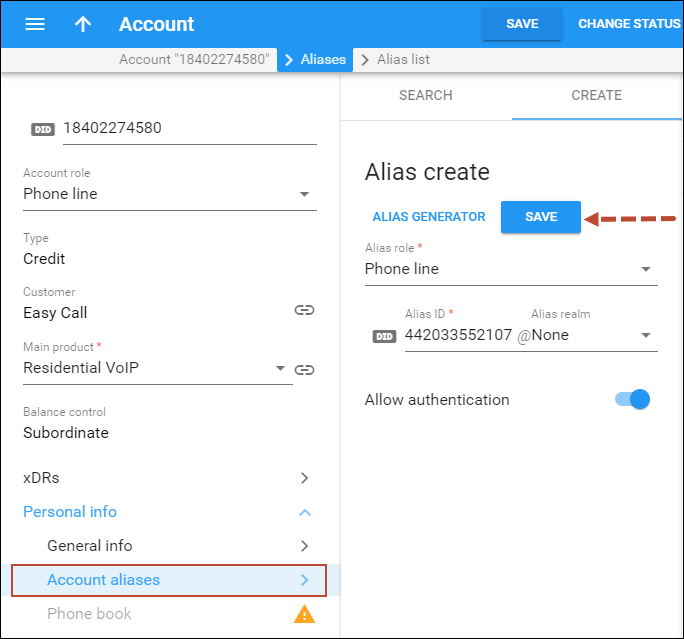 Select Phone line from the Alias Role list. 4. Click on the Alias ID link to add a DID number as an alias. 5. Click on the Provision a Number in the DID Number dialog window. 6. Filter DID numbers by country and area. Select an available DID number from the Number list. 7. Click Provision to add this DID number. 9. Repeat steps 2–7 to add additional aliases. Apply this method when you want to charge customers differently for provisioning various geographical DID numbers. For example, let’s say you want to charge your customer John Doe a $7 monthly recurring fee for provisioning US DID number 12124254781 and a $3 monthly recurring fee for provisioning UK DID number 4405875502. However, you want to apply DID charges only after a DID number has been provisioned as one of John Doe’s accounts. 1. Create the DID pricing batch for US numbers (e.g. US Mobile) and specify that it has an additional $7 monthly recurring fee for it. 2. Assign some US DID numbers to the “US Mobile” pricing batch via the DID inventory. 3. Repeat steps 1–2 to associate the DID markup to the UK DID numbers. · Click on the Accounts icon on the Edit Customer page. · Click Add to add a new account. · SelectPhone line from the Account Role list. · Select the main product for this account from the Main Product list. · Click the Account ID link. 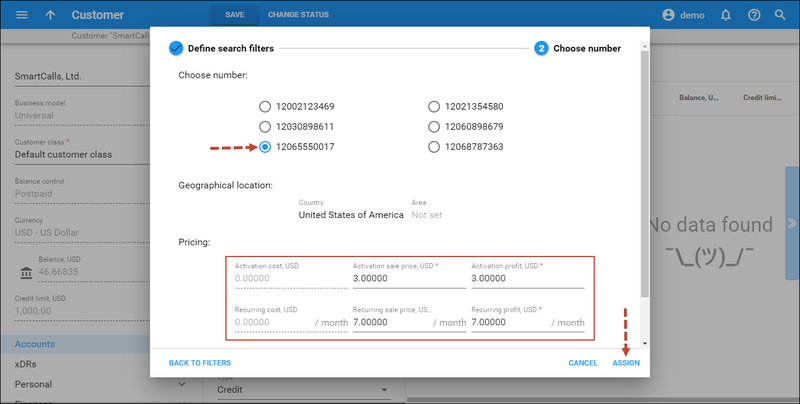 · Select Unallocated from the Allocated To list, US Mobile from the Pricing Batch list in the DID Number Select dialog box and then click Search. You will see available DID numbers and their corresponding charges. 5. Click the DID number link to add this number as the account ID. 6. Repeat steps 4-5 to create a new account with the UK DID number. 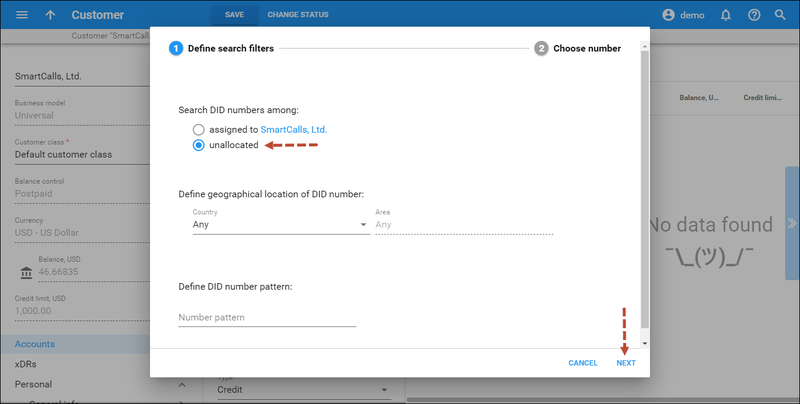 o When the Define the search filters dialogue window opens, select to search through DIDs available in DID pool. Click the Next button. o On the Choose number panel that opens, select a DID number. Specify new fees in the Pricing section. Click the Assign button. These actions are performed by resellers. For example, you want to expand your DID provisioning network. Therefore, you allow your subreseller Panda Telecom to access the DID pool and provision these DID numbers to their customers. You want to receive a $3 activation fee and a $5 monthly recurring fee for every DID number provisioned by Panda Telecom. Please note you must have access to the DID pool, otherwise your subreseller will not be able to provision DID numbers. 1. 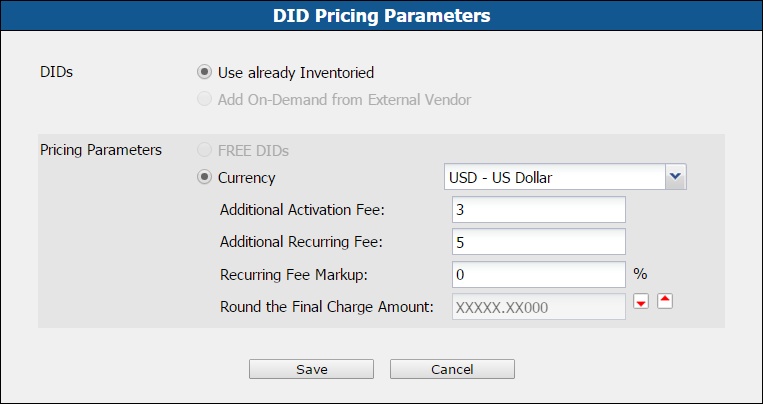 Create a DID pricing batch for the subreseller and define the DID markup within it. 2. Assign the pricing batch to the subreseller. Further actions for DID provisioning are performed by the subreseller as described in the Operations To Be Performed by the Reseller 8 section of the DID Provisioning for Reseller (DID Inventory) handbook.